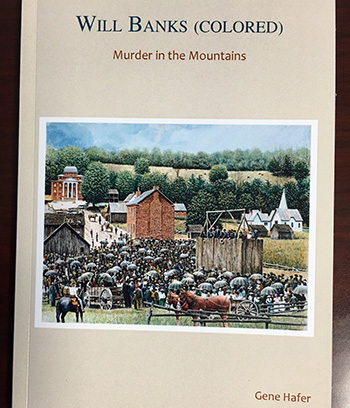 Join us on Saturday and Sunday as we welcome Gene Hafer, author of a new book about Will Banks. In 1906 Will Banks shot and killed Frank McMillen. He was tried and sentenced to hang. Hafer’s book quotes newspapers from the time and looks at the cultural and political environment that led to Banks’ hanging. Books will be available for purchase ($20.00 each including tax) and the author will gladly sign them.